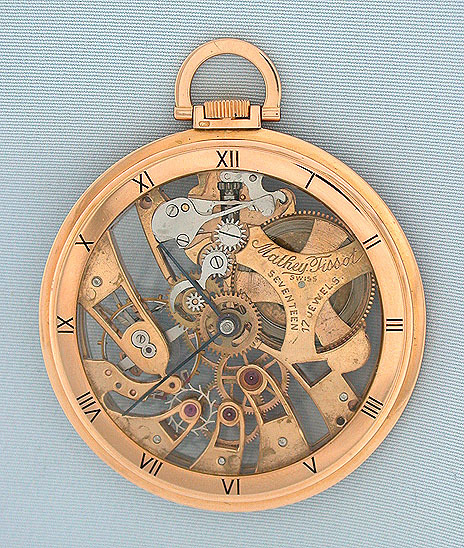 Attractive Swiss Mathey Tissot 18K gold skeletonized antique pocket watch circa 1950. Gold chapter ring with blued steel hands. Slim plain polish case. 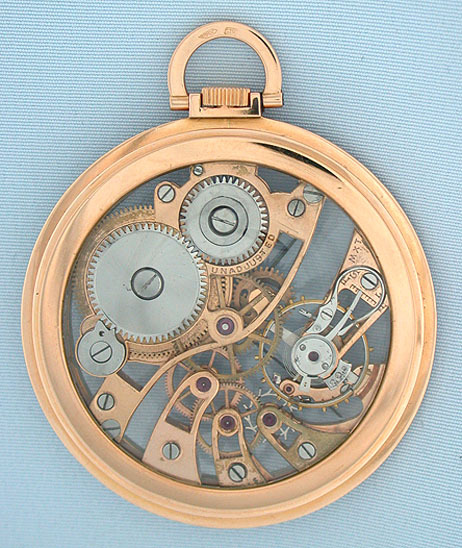 Gilt 17 jewel movement with slight loss to some of the gilding.